One of the best things about becoming an image consultant is once you learn the rules of proportion, prints and line and design you realize that there are many ways to tackle just about any style dilemma. How to wear large prints if you're plus size is just one of them (I'll show you more over the coming months). So, if you have a style dilemma throw me a comment below and I'll see if I can create a post just for you. A personal style and image consultation is the absolute best way to discover the styles, line and designs, fabrics and colors best flatter your shape. It makes shopping so much more effective as you'll know what you need to be looking for and that makes all the difference. Oops! Something went wrong while submitting yourÂ information. Please try again. The most common problem clients mention is figuring out how to spruce up their style, and which look is appropriate for which event. 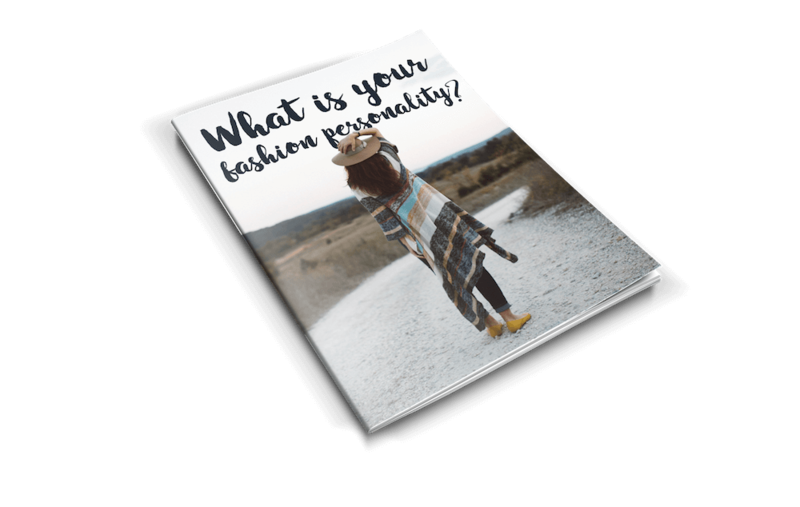 Our Fashion Personality Quiz helps determine the type of look that youâ€™re drawn to, and how to assess your particular needs based on your goals. Sign up for our quiz today, and youâ€™ll also get access to our low volume email tips. What could be better than image tips delivered directly to your inbox? We hate spam and will not sell your email address to anyone, and you can opt-out at anytime.